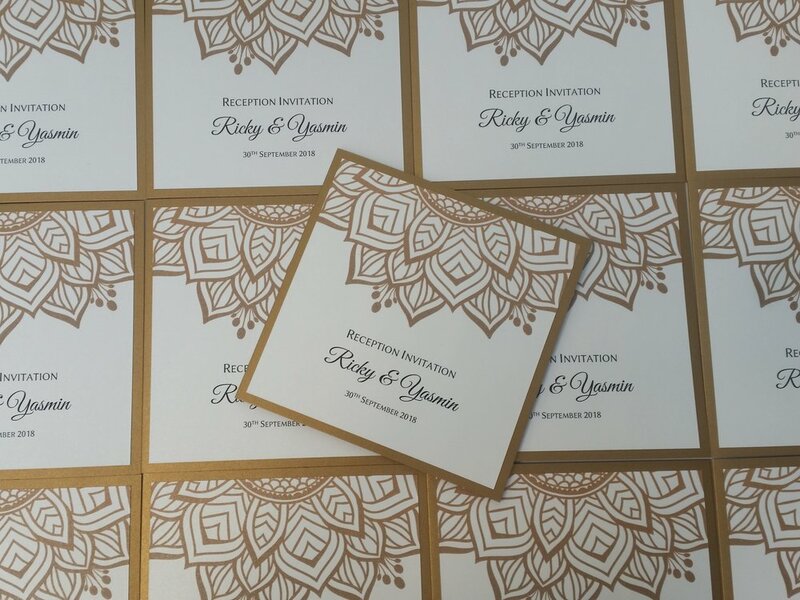 When I first met with Yasmin & Ricky a few months ago, they wanted a wedding invitation with a mandala design, and their colour theme was gold. I was excited to start designing! We finally decided on a classic style invitation in pearlescent gold, with a gold mandala design on the front, and we used a pearlescent diamond cardstock. So loved making them.....they are so pretty! Congratulations to Lauren & James!